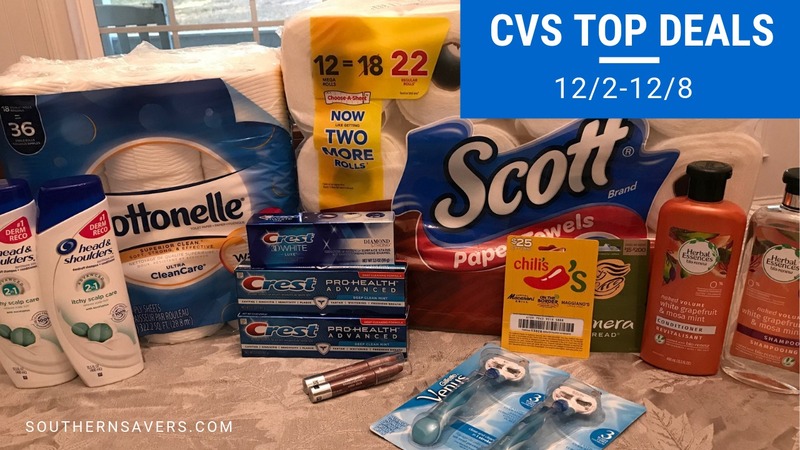 I just got home from CVS and wanted to share the deals that we grabbed. First I did things a tad differently as folks have had issues with CVS lately and I wanted to try to push my luck as hard as I could and test the system. So… I did everything in two transactions and spent more out of pocket than normal. See all the deals and make your own shopping list.. Note: You can’t pay for gift cards with ExtraCare bucks, so do this one first and use the rewards you get to help pay for other deals! (3) Crest Pro Health or 3D White Toothpaste, $3.99 ea. (2) Neutrogena Lip Color Sticks, $10.29 ea. (2) Gillette Venus Razors, $8.99 ea. Makes it $21.01 for everything or like it’s free after rewards back! Note: I forgot completely to cut the 50¢ coupons for the paper goods. So it should be $1 less, but it’s not worth going all the home for and not shopping (I live 30 minutes from CVS).